"From an internationally best-selling author, a spellbinding new novel about a young woman with a fantastical secret who is trying to solve the mystery of her mother's death. When Anita Naakka jumps in front of an oncoming train, her daughter, Norma, is left alone with the secret they have spent their lives hiding: Norma has supernatural hair, sensitive to the slightest changes in her mood--and the moods of those around her--moving of its own accord, corkscrewing when danger is near. And so it is her hair that alerts her, while she talks with a strange man at her mother's funeral, that her mother may not have taken her own life. Setting out to reconstruct Anita's final months--sifting through puzzling cell phone records, bank statements, video files--Norma begins to realize that her mother knew more about her hair's powers than she let on: a sinister truth beyond Norma's imagining. 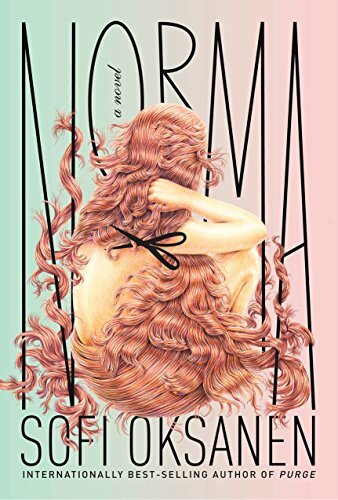 As Sofi Oksanen leads us ever more deeply into Norma's world, weaving together past and present, she gives us a dark family drama that is a searing portrait of both the exploitation of women's bodies and the extremes to which people will go for the sake of beauty."